Illuminated River Project, a 2.5 mile long public art project snaking its way through the centre of London came a step closer last week with project artist Leo Villareal visiting London for technical lighting tests on Waterloo, Lambeth and Blackfriars bridges, along with events at Fishmongers and City Hall. 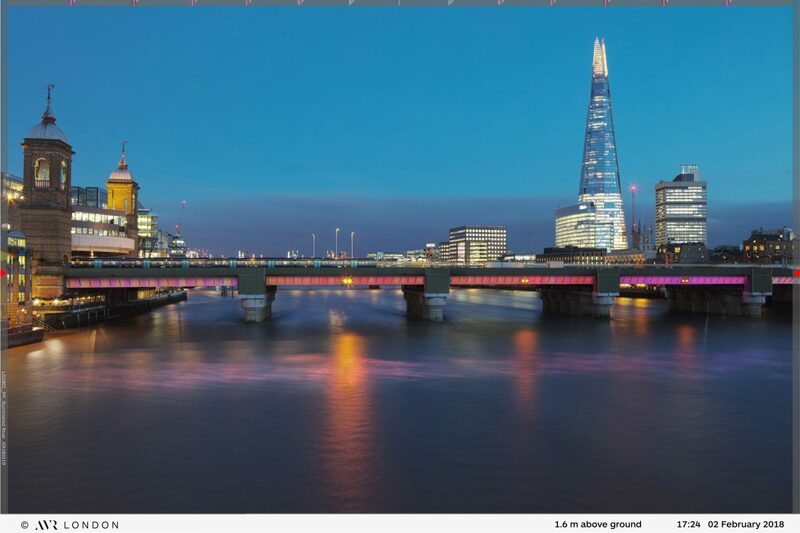 US artist Leo Villareal (The Bay Lights on San Francisco’s Bay Bridge) gave a fascinating presentation on his ambitious plans for the unified light installation across up to 15 of London’s bridges along the River Thames, from Albert Bridge in the West to Tower Bridge in the East. Revealing his choice of lighting colours was inspired by the work of ‘the Impressionist masters who painted the Thames’, Villareal described his use of the latest LED technology to ‘paint with light’, drawing influence from the natural and social activity of the river to produce sequenced patterns that play across the bridge structures. 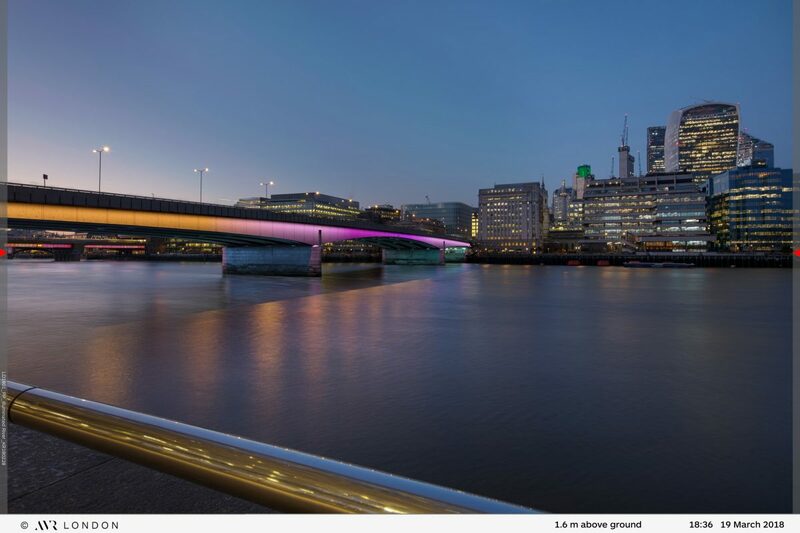 Sarah Gaventa, Director of the Illuminated River Foundation, announced that preliminary works had begun at the first phase of the bridges set to twinkle in 2019 – London, Cannon Street, Southwark and Millennium. A project over two years in the planning. 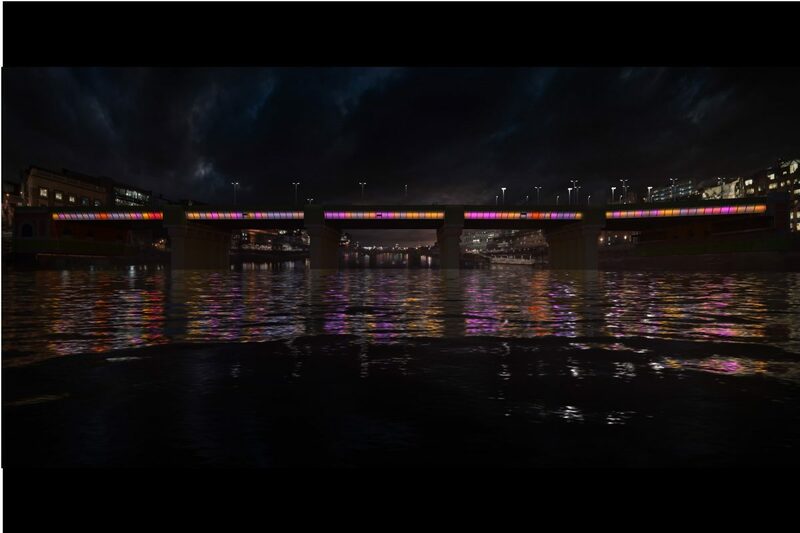 In winter 2017 we were commissioned by the Illuminated River Foundation and project architects, Lifschutz Davidson Sandilands, to create over 40 verified night-time photomontages of the illuminated bridges. Intended to form part of 30 planning submissions to the London boroughs flanking the 4.5 nautical miles of river, this number alone reveals something of the enormity of the organisational feat behind the scenes to turn the project into a reality. 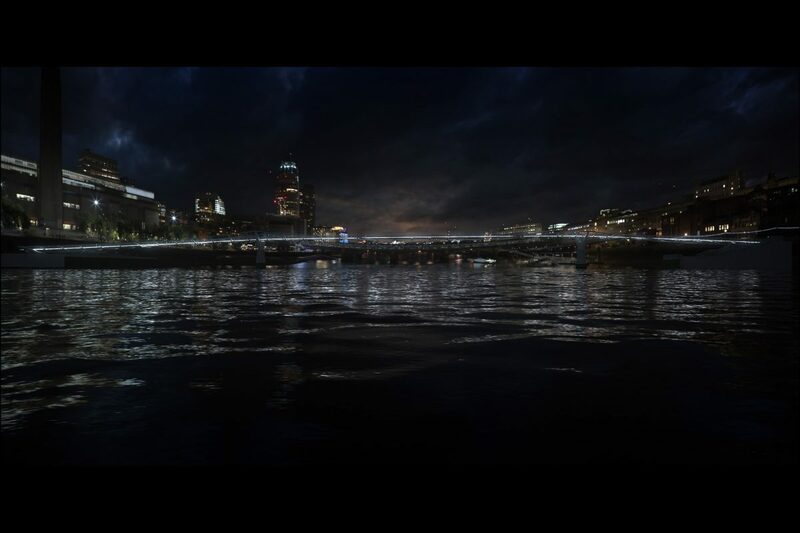 Our photography team began shooting in the dark winter months, watching tides and night-time weather conditions and waiting for the right moment to capture striking HDR photography of the bridges; Blending exposures together for depth and dynamic range, for our artists to later bounce light from renders onto the surrounding dark, glossy waters of the Thames. As Villareal studio was using Unreal Engine to create animated renders, the project called for a collaborative, transatlantic effort across time zones. Our VR studio (@avirtualrealism) devised and ran project workflow, mapping verified cameras from 3DS Max to Unreal Engine and liaising back and forth with Villareal Studio, before render files were composited together into accurate verified CGIs by AVR London’s 3D artist team. 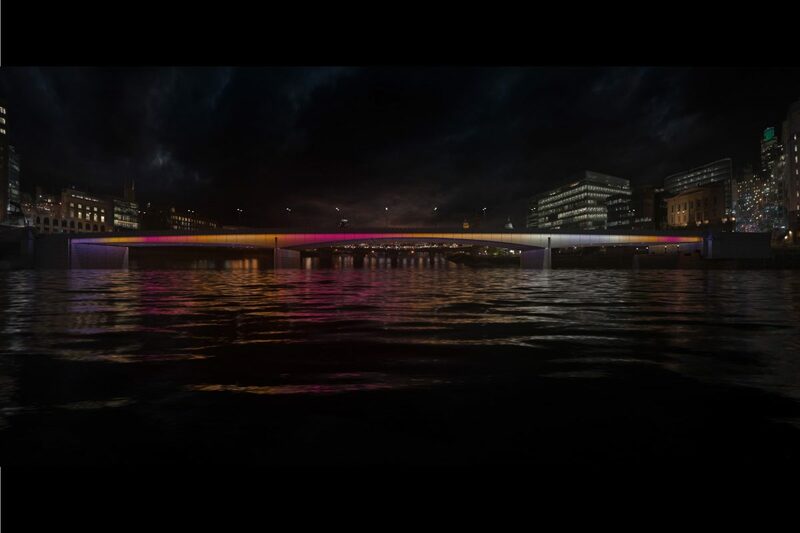 Planning applications were submitted in May, and in July, the City of London gave the Illuminated River Foundation the go-ahead to create the artwork across six bridges: London Bridge, Southwark Bridge, Cannon Street Railway Bridge, the Millennium Bridge, and both the vehicle and rail bridge at Blackfriars. 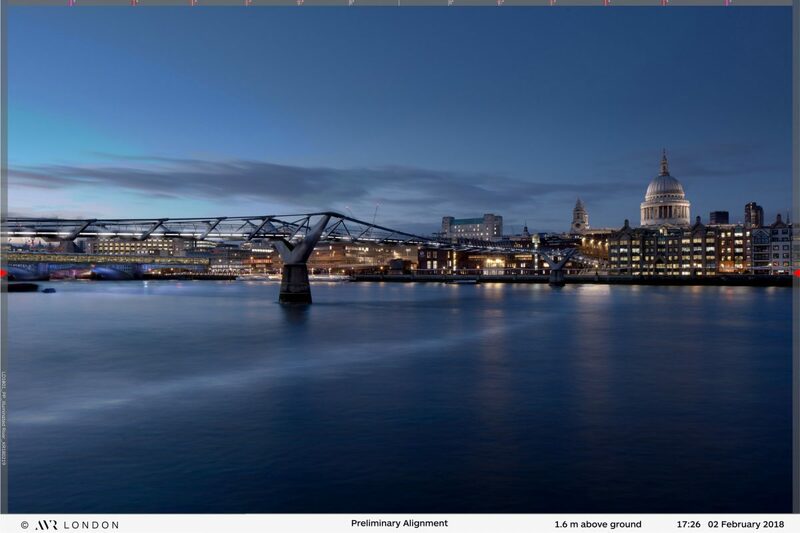 A design commission on an unprecedented scale: the unified scheme conceived to light central London’s bridges along the River Thames is expected to be complete in 2022 and will remain in place for at least 10 years. This is another one of the many public art collaborations AVR London has worked on and continues to support, notable recent examples being Christo and Jeanne-Claude’s ‘The London Mastaba’ in the Serpentine, Rachel Ara’s ‘American Beauty’ at The Barbican, and Transport for London’s proposed pedestrianisation of Oxford Street.